Successful projects deliver cost-reductions and business efficiencies. User centred design can be a useful and speedy way of increasing efficiency and hence reducing costs. More often that not, design is seen as a way of increasing sales, attracting eyeballs, or retaining customers. However at Frontend.com we have noticed that some of our most successful projects concentrate on cost-reduction and business efficiency. 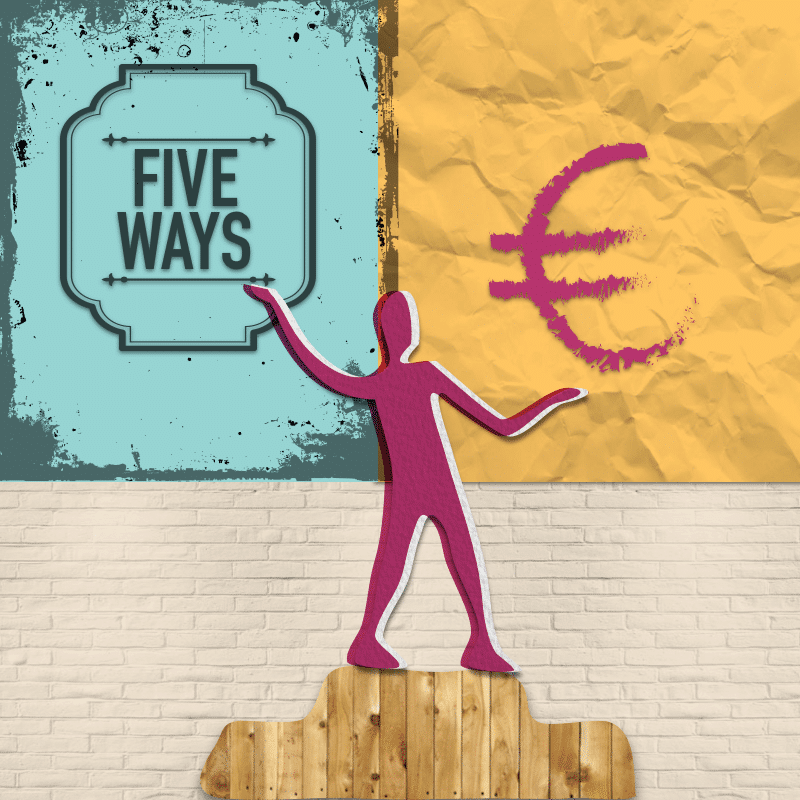 Here are five ways that we have applied user centred design to help our clients save money. We all know that the cheapest to facilitate applications to a service is online, but that takes time to implement and often requires a good deal of organisational change. In addition some types of application must be on paper for legal reasons. Recently we worked with AIB Bank to redesign some of their important paper forms. We applied a user-centered design approach that included detailed user research, iterative design phases and user testing on the redesigned forms. The first reliable results back from the bank are that this simple and cost-effective exercise has improved the performance by 67%, reducing call-centre support costs and back office workload. This represents a phenomenal return on investment in a very short time, as the project was turned around in about six weeks. As the cost of consumer electronic products drops the relative cost of providing technical support is rising. For many electronic products the majority of support calls occur during the initial set-up. Frontend.com have worked with several manufacturers and service providers to improve installation software, instructional material, and even packaging to ensure an excellent out-of-box experience and reduce the cost of providing customer support. In one case, user testing convinced a service provider to cancel the rollout of a networking product due to a poor out-of-box design, as the cost of support would have wiped out any profit from sales of the device. Many organisations have developed low-cost self-service channels, mostly using Interactive Voice Response and the web. However, uptake is mixed. Many customers, particularly those who are less comfortable with technology, are reluctant to entrust important transactions to an automatic system. It is these customers that organisations must focus on if they are to increase the proportion of self-service customers, and hence reduce the cost delivery. Including the more challenging user groups in a user-centred design process will ensure a design that widens the potential user base of the service. And the good news is that this more inclusive approach to design rarely risks alienating the technophiles and early adopters. Making things easier is an almost universally popular move. Many of the systems we are asked to look at are a reflection of years of legacy work practices and workarounds. More often than not internal staff are not aware of how inefficient (and sometimes bizarre) these practices are as they have become the accepted norm. In most cases these inefficiencies are removed as part of the design of a new optimised system. However, this is a costly and time consuming exercise and the return on investment, while huge, is often a few years down the line. If short-term cost reduction is your goal then try using the user centred design process to optimise your existing working practice within the constraints of the current systems. Investment in task analysis research and minor modifications to working practice and systems can provide significant cost reductions in the short term for a modest outlay. One of the most effective ways of saving money is to cancel projects or features that nobody wants or that will not be used. For this, all you need is a reasonable visualisation of what you intend. Paper or a few PowerPoint slides should be more than enough. Run a small user test or in-depth interview and make sure that what you intend is worthwhile and meet the user’s real needs. Unfortunately, if you try the direct approach and ask users “would you use this?” they tend to give overly positive answers. So you will need to be a bit more cunning. A good technique is to ask them to estimate how much it would cost and also how much they would pay for it. This often gives some indication of real-world adoption rates. If the results are looking bad, then it may be more prudent to put effort into something else.